Ladies, when I tell you this is hands down THE BEST DIY conditioner for natural hair that I have ever used I am not playing! I've always been hesitant with DIY anything and have always been about that BUY life, as in buy everything already prepared instead of doing it yourself. But I kept hearing great things about using avocado and banana for natural hair so I thought I would give it a try. The results were amazing!!! The mixture definitely added moisture, shine, and made my hair super soft. My curls were even more defined. 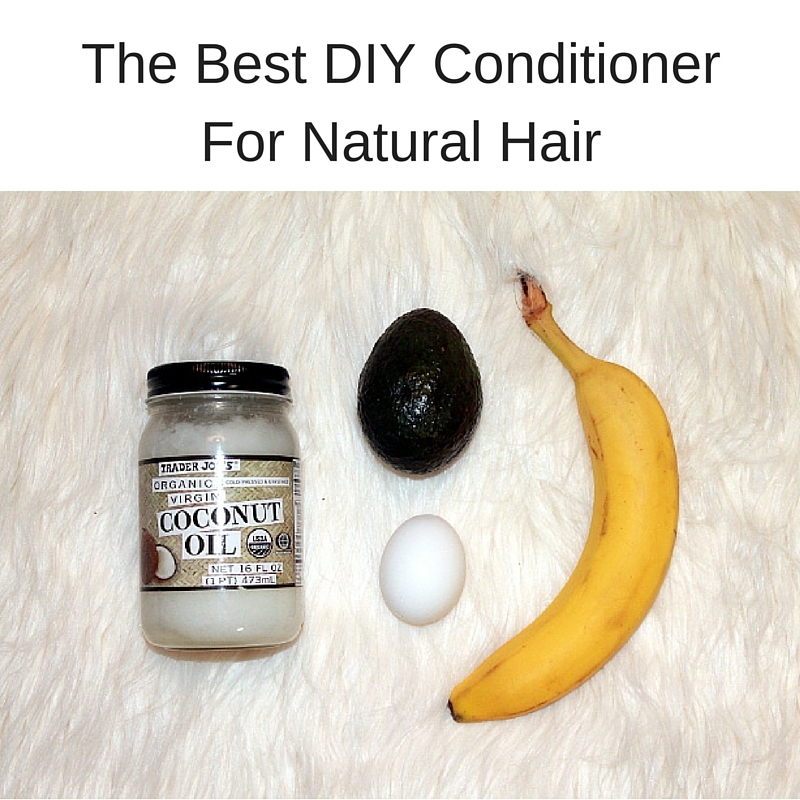 I certainly will be using this again and trying other DIY conditioners. I'll make sure to keep you all posted. Be sure to give this conditioner a try and let me know via instagram (@arteresalynnstyle) or twitter (@artereaslynn) if you do and how you like it! Blend the avocado and the banana until there are no lumps (Mine still had a few lumps. I used a hand mixer when I should have used my food processor...rookie mistake!). Add in the beaten egg and coconut oil and mix well. Apply the mixture to freshly washed but towel blotted hair. Let it sit for 20-30 minutes, detangle, then rinse thoroughly with cool water. *You might also want to check out my post on The Top 7 Products To Use On Natural Hair.